In the eastern suburbs of Changi, a house designed to reflect a tropical resort lifestyle is on the market. Take a tour of the home. On Toh Drive, a quiet landed housing estate located off Upper Changi Road North, a bungalow has been put on the market for sale. 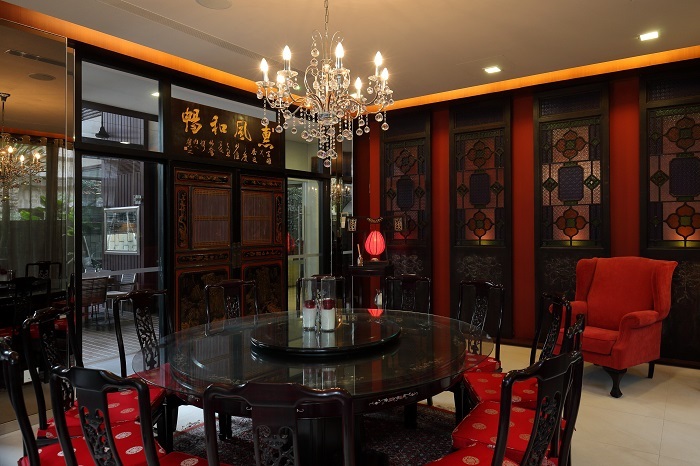 While it looks like a contemporary resort villa from the outside, its interior can be described as “modern chinoiserie”, or in the words of its owner, a house with “Oriental touches”. The property was built by its owner, retired engineer Gilbert Ong. He purchased the freehold site for $2.1 million in 2006 and tore down the old bungalow to build his new home. Back then, bungalows in the neighbourhood sitting on land sizes of at least 6,000 sq ft were transacted at prices ranging from $224 to $430 psf, according to caveats lodged with URA Realis. The asking price now is $9.3 million ($1,339 psf). 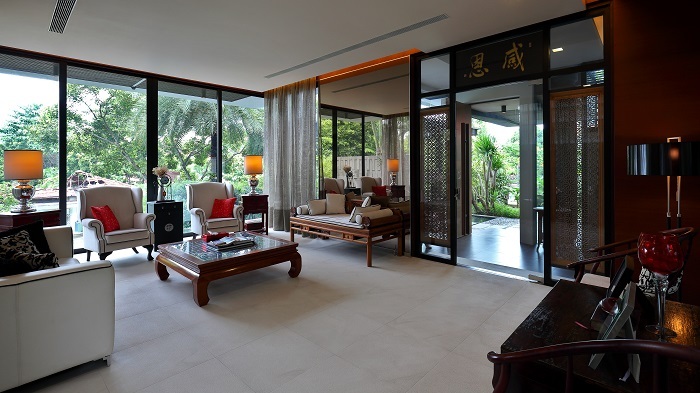 Ong wanted a house that reflected “a contemporary resort lifestyle”, with indoor and outdoor spaces as well as rooms that have formal and informal settings. He also wanted to maximise the use of the 6,943 sq ft plot, which is elevated and therefore has a vantage point.